Pictures and Words from the Rural South. Based in Madison County, North Carolina. At the Madison County, North Carolina, Courthouse, 2013. 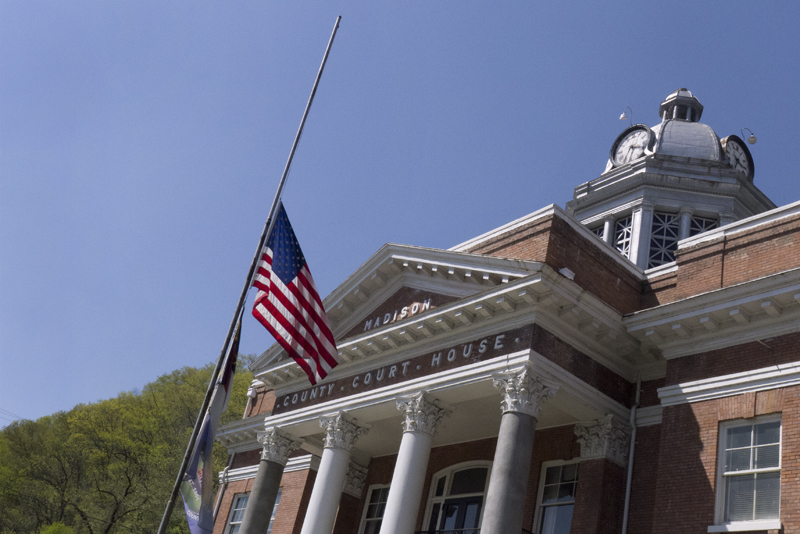 Our flags have been flying at half-staff for many months now and I, like many people, am sickened and saddened by the unrelenting violence in our world. Benghazi, Sandy Hook, and Boston have provided us with a never-ending stream of heroes and innocent victims to be honored and remembered. And honor them we should. But I find myself equally saddened and distressed by the deaths of people we have chosen not to honor with this same public tribute. I’m thinking here of the thousands of victims of abuse and gun violence, the low-wage factory workers in Bangladesh laboring in unregulated industries so that we may have inexpensive clothing, or the scores of children and families killed in our drone strikes. I wonder if someone, some country, flies a flag at half-staff for these unsung heroes and innocents. We Americans believe we are an exceptional people and that we are the force for good in the world. We believe our laws and culture are above reproach and our motives and tactics are always pure and should never be questioned. Why would anyone, or any society, wish us harm? But I’m reminded of that quote from Galatians 7, Whatsoever a man soweth, that shall he also reap, which leads me to question our own complicity in this rampant violence being perpetrated on us. Americans are the most heavily armed people in the world. When you couple that fact with our country’s poor mental health care and lax gun laws, you have a potent recipe for havoc. America has been the leading exporter of arms and munitions in the world for many years, and since our beginnings as a nation, violence and warfare have been among our most defining characteristics. Our invasions, interventions, and liberations bring the same indiscriminate death and destruction to innocents. That we do these things in the name of peace, freedom, and democracy matters little to the countries we invade or the families affected by our violence. 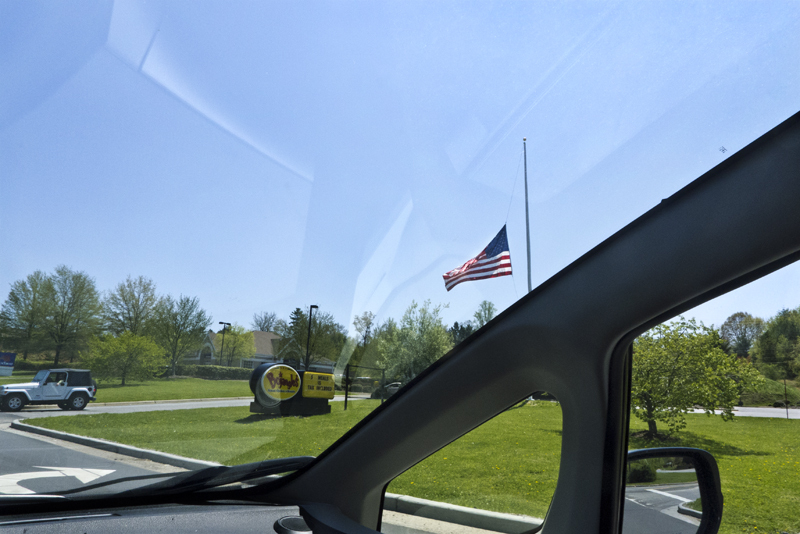 Perhaps a more honest response would be for all nations of the world to fly their flags at half staff in perpetuity so that all innocent victims receive the honor and respect they deserve. In Weaverville, North Carolina, 2013.